Let's envision the future, discuss key opportunities and big ideas, and identify topics that require further discussion. Discussing the future vision for growth. Discussing key opportunities and big ideas. Identifying topics that require further exploration. We were engaging with the community through a variety of different in-person events and feedback online. Check out the different events that were planned by clicking the buttons below. LEARN MORE. Haven't had a chance to review the project details yet? Please ensure that you return to the PROJECT MAIN PAGE or the DISCOVER PAGE to get up-to-speed on what we are doing. Learn about and provide feedback on City projects, services and amenities connected to your local area. Check this event out & save the date! The City will be out and about in your community at seven different pop-up events throughout phase two. Check out the pop-up schedule. The City will be hosting targeted workshops for specific stakeholder groups in the area. Neighbourhoods change and evolve overtime. Local residents move in or away, the population grows older or younger, people’s housing and lifestyle needs change, local businesses, restaurants and services offerings change. We’re talking about the lifecycle of the North Hill area and working together to guide local redevelopment and revitalization to ensure the area continues to thrive and be a place that locals love. To review the information panels shared about the North Hill project at the March 2 Tradeshow event, please click here. To review the presentation that was given at the event, please click here. Review this background information prior to completing feedback tools. Did you know that future population and job growth is encouraged in specific areas of the city? Learn where. 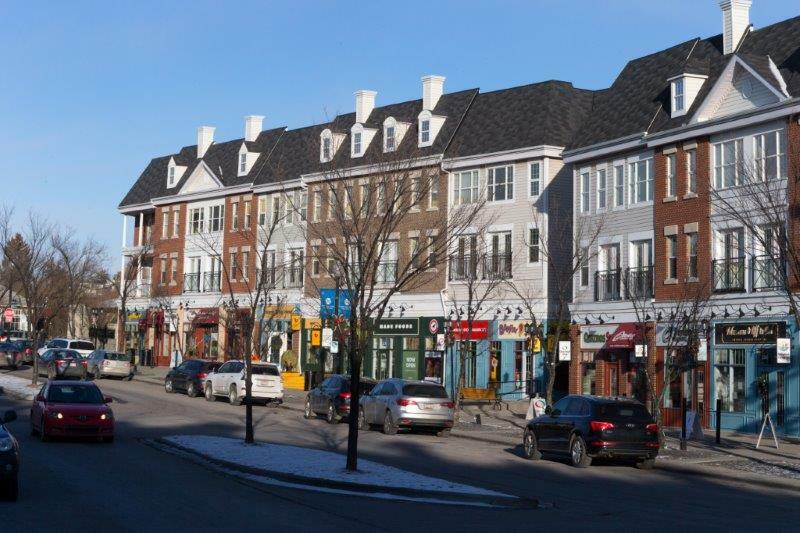 Do you know where growth and development is encouraged within the North Hill Communities? Find out. 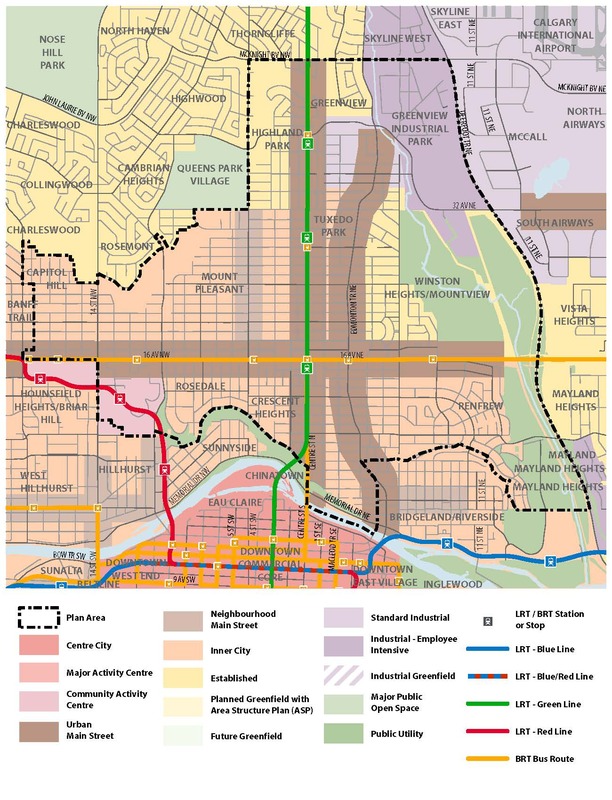 Calgary’s Municipal Development Plan encourages future population and job growth in specific areas of the city. 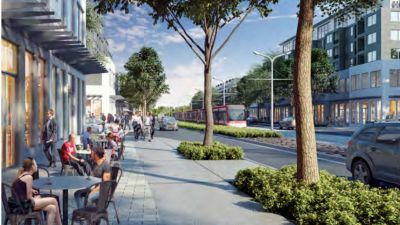 These areas include Activity Centres, Main Streets, and Transit-Oriented Development areas which are intended to support higher density development, more diverse forms of housing, retail and commercial services, public and essential services, as well as amenities. These areas are also characterized by frequent and high-quality light rail and/or bus transit service. To the meet the goals and objectives of the Municipal Development Plan and to maximize opportunities for people to choose to live and work in the established areas, growth must also occur outside of these specific areas, within our communities. This allows for a greater range of housing types to suit all ages, lifestyles and housing needs in a way that contributes to communities evolving overtime. 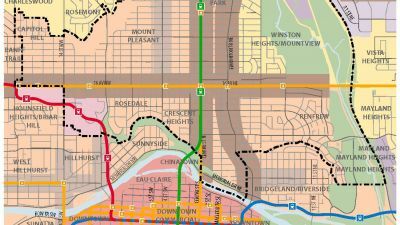 Within the North Hill Communities there are four Main Streets (16 Avenue, 4 Street NW, Edmonton Trail NE and Centre Street N), three future Green Line transit stations (16 Ave, 28 Ave and 40 Ave), the MAX Orange BRT on 16 Avenue, a number of Neighbourhood Activity Centres such as the cluster of facilities and schools around the Renfrew Aquatic and Recreation Centre and existing strip mall and commercial development at 10 Street NW and 20 Avenue NW and an important employment hub in the Greenview Industrial Area. 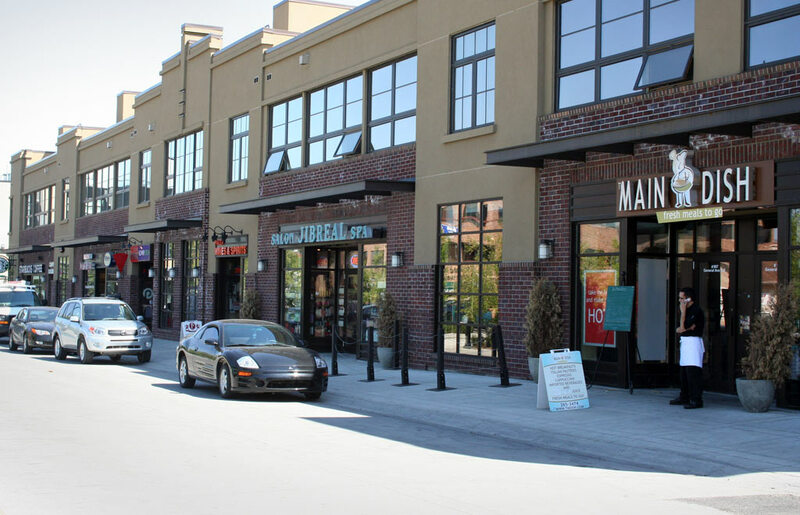 Main streets are important to the long-term growth of our city, and are ideal places for mixed-use development, including: residential, commercial and retail development. Access to transportation options, infrastructure and amenities make these areas great places to live, work or visit. In the North Hill Area there are four Main Streets: 16 Avenue N, Edmonton Trail NE, Centre St N and 4 Street NW. What are Neighbourhood Activity Centres? 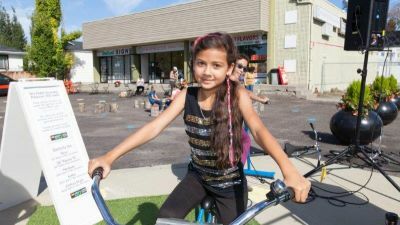 In Developed Areas, Neighbourhood Activity Centres (NACs) primarily exist in the form of smaller commercial sites, strip malls, or redeveloping public facilities. 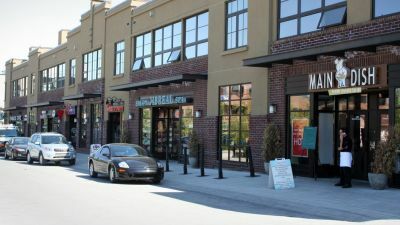 They tend to be centrally located within a residential area and provide walkable destinations for local communities. In accommodating growth and change, NACs provide opportunities for mixed-use (re)development, medium density housing (e.g. ground-oriented to medium density apartments), local retail and services, community facilities, and integrated transit stops. What is an Established Area? This is the existing developed area within your community. The Municipal Development Plan encourages moderate growth throughout established neighbourhoods and residential areas. Redevelopment in these areas is a gradual process that occurs over a number of years and is guided not only by planning policy but also by market demand and people’s changing lifestyle preference and housing needs. Did you know we have Guiding Principles that will help us evaluate future concepts as they are developed? All data collected through phase one was analyzed by The City and shared with the Working Group. The Working Group and The City came together to prioritize the themes heard from citizens and this information was used to help develop guiding principles. Maximize the opportunity for people to choose to live in close proximity to varied mobility options that safely and conveniently reach a diversity of destinations. Recognize and enhance open spaces, the public realm, the urban forest/tree canopy, natural systems, and the connections between them. 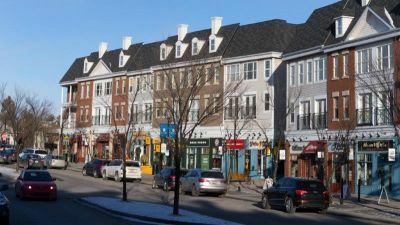 Foster vibrant mixed-use main streets that support local businesses and are in turn supported by diverse housing options on tree-lined streets. Build on and strengthen existing clusters of small-scale neighbourhood shops and community amenities outside of the main streets. Enable the creation of housing that fosters accessibility and diversity among people, ages, incomes, and household types. Support the ongoing vitality of the Greenview Industrial Area and its role as an important employment area. Encourage resilience in the built environment that allows adaptability to a changing society, economy, and climate. When thinking of the North Hill Communities Plan area and the key identified growth areas, we wanted you to think of how future growth and development might be accommodated. There were two ways to provide your input, we were asking you to show us where you think growth is appropriate within the focus areas and tell us how you envision growth within the focus areas in the future. Please click through the each tab - TELL US and SHOW US to see the questions we were asking in phase two. A What We Heard Report summarizing all of the feedback received in phase two will be made available shortly. The reference materials above give definitions and examples of the focus areas we ask about below and will help inform your answers, please ensure you review these. What does future growth look like around transit hubs? Think about the existing and future transit stations/stops in the area, this could be Light Rail Transit (LRT) with the future Green Line on Centre St. or Bus Rapid Transit (BRT) along 16 Avenue with the MAX Orange line. 1. Tell us how are these areas similar or different? How do you envision these areas evolving over time? What building heights or types of uses do you see there? Does your opinion differ for each of the TOD areas and what do you envision where? 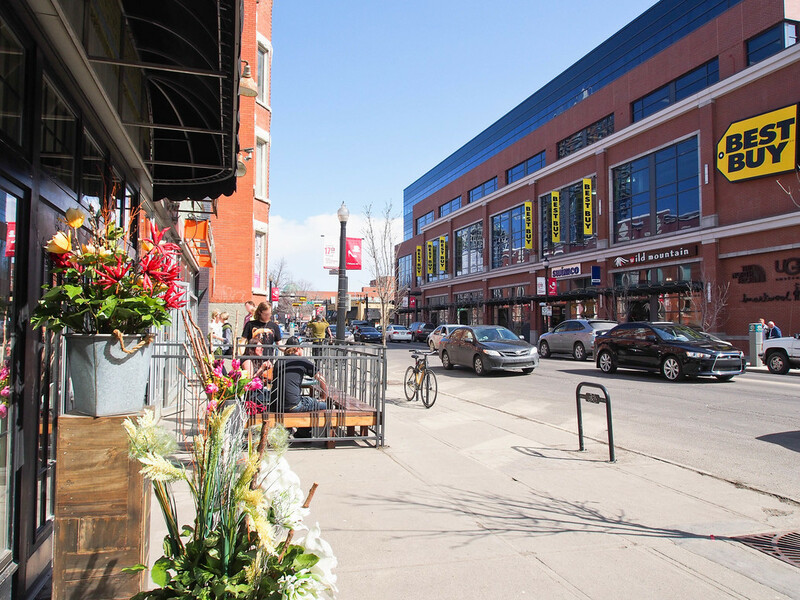 What does growth look like on our Main Streets? Think about the four Main Streets: 16 Avenue, Centre Street N, Edmonton Trail NE and 4 Street NW. 2. Tell us what you think is working and what is not on each of the Main Streets? How do you envision them evolving over time? What building heights or types of uses do you see there in the future? 3. When thinking of growth in the areas adjacent or next to the Main Streets, how do we transition from the higher density areas to low-density residential areas? What should the transition areas into the surrounding community look like? What does growth look like in our Neighbourhood Activity Centres (NAC)? Think about Neighbourhood Activity Centres in the plan area. For example, is there a strip mall, an office/ commercial building and/or a school and fields? Is there one located close to where you live? 4. Thinking of these areas, what is working, what is not? How do envision this area evolving over time? What types of redevelopment do you think would be appropriate? Think about building heights/number of storeys or what types of uses you see here. 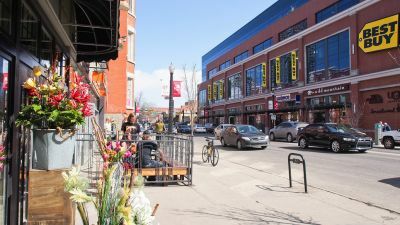 What does growth look like in your neighbourhood outside of Main Streets, Transit-Oriented Development areas, and Neighbourhood Activity Centres? 5. How do you envision growth & redevelopment within your community? What does this look like? Are there any areas that might be more appropriate for growth than others? Is there a range of housing or building types that you think would be appropriate? 6. 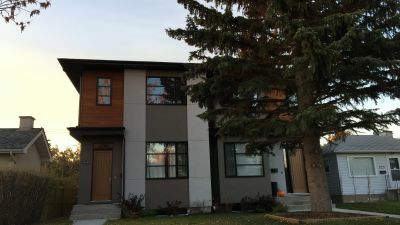 Heritage is a key element of character in older neighbourhoods. In your opinion, how should heritage character be conserved as redevelopment occurs? This area is an important employment hub for the area and The City we want to know how do you envision this area evolving in the future. 7. When thinking of how this area functions today, is there anything that you think could be different? How do you envision this area evolving in the future? Are there other uses or development types you would like to see encouraged in this area? What do we need to keep in mind for our supporting infrastructure as growth and redevelopment occurs? 8. Tell us how do you currently use the parks in the area. Is there anything missing from the parks? 9. As growth and redevelopment occurs, what impacts to local green space and parks need to be considered? 10. As growth and redevelopment occurs, what impacts to our transportation infrastructure need to be considered? Think of all mobility options (walking, cycling, transit and driving). The Map below outlines the North Hill plan area and key focus areas. Within the plan area we want to think about how you envision growth. There are a number of questions for your consideration and each question is assigned a category marker. To provide input you will select the "Show Us" button and then drop a marker on the appropriate location, you will be asked to choose a category to assign you marker to and then answer the question by telling us why. Please use the appropriate marker for each question and provide comments. You can zoom in on the map to get a specific location. 1. Transit Oriented Development Areas (TOD). 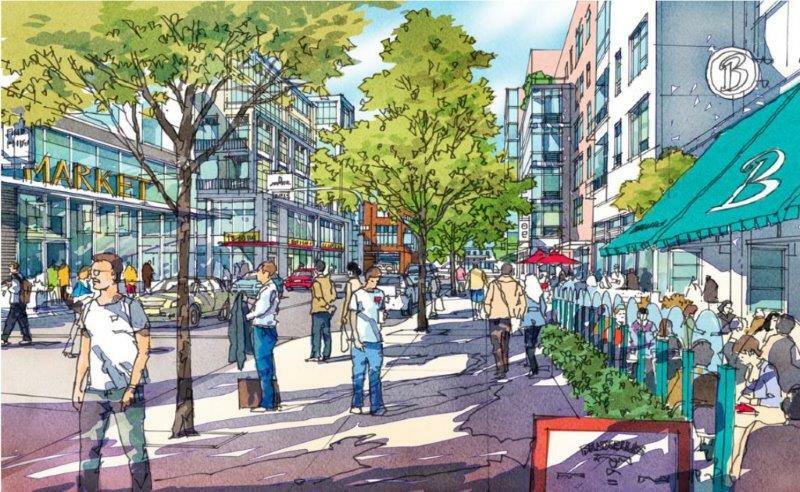 Are there TOD areas you think provide greater opportunities for growth and change? Identify which areas and tell us what types of buildings and uses you envision for these areas. 2. Main Streets Commercial Areas. Please identify where you think retail and other non-residential uses should be focused along the Main Streets. Should this be at specific intersections or activity nodes. Show us where and tell us why you think that area is appropriate. 3. Main Streets Building Heights. How many storeys are appropriate for future buildings along the Main Streets? Does this differ my street or location? Identify a location and tell us the number of floors you think would be appropriate in that location. 4. 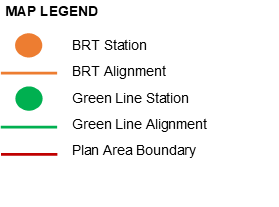 Neighbourhood Activity Centres (NAC). Help us identify Neighbourhood Activity Centres in your community (and larger plan area). Identify the NAC on a map and tell us what types of buildings and uses you envision for these areas. Click "SHOW US" to get started. Each question has an assigned “marker/ pin” for you to use, please use the appropriate marker and provide comments. 1. Transit Oriented Development Areas (TOD). Are there TOD areas you think provide greater opportunities for growth and change? Identify which areas and tell us what types of buildings and uses you envision for these areas. 2. Main Streets Commercial Areas. Please identify where you think retail and other non-residential uses should be focused along the Main Streets and tell us why you think that area is appropriate. 3. Main Streets Building Heights. How many storeys are appropriate for future buildings along the Main Streets? Does this differ my street or location? Identify a location and tell us the number of floors you think would be appropriate in that location. 4. Neighbourhood Activity Centres (NAC). 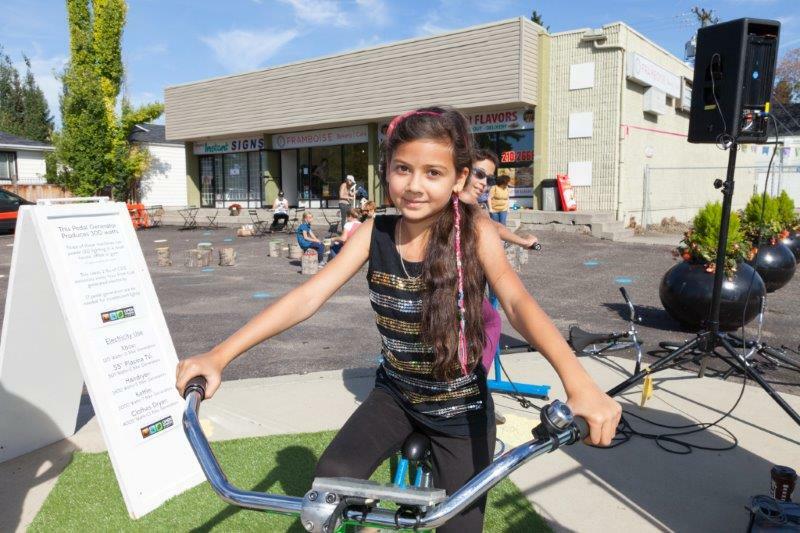 Help us identify Neighbourhood Activity Centres in your community (and larger plan area). Identify the NAC on a map and tell us what types of buildings and uses you envision for these areas. TOD Area Drop a pin on a TOD area and tell us what you envision here. MS Building Height Drop a pin on the Main Street and tell us what building height would be appropriate here. Activity Centres Drop a pin on the Neighbourhood Activity Centre & tell us what you envision here. Select the 'Click to SHOW US' button and click / tap the specific location on the map you want to leave your comment. This will open an input form at the side of the map. Choose the category to assign your marker. Note that map locations are approximate and may not be exact. Tell us what you think of this engagement opportunity. Select the option that best describes your experience. The input collected in this phase of engagement will be used to develop land use concepts that will be presented back to the community for evaluation in our next phase of engagement. Input received through this engagement will be one of many factors considered as the proposed concepts and supporting policies are created. Other considerations include: City policies, technical and feasibility studies, market conditions and previous engagement results. 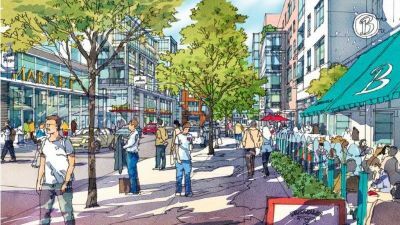 The project team also recognizes that significant engagement has occurred in the plan area connected to land use including: previous main streets engagement and the Green Line TOD Charettes. This feedback has not been lost and will also be taken into consideration as well. To review previous engagement findings from phase one, DISCUSS, please click here. The City would like to get a better understanding of our project participants. Answer this short survey to tell us a bit about yourself. How would you classify your relationship with the plan area?